Whether you are considering adding a storm jib or trysail to your yacht, selecting the correct size is of paramount importance. We often see storm jibs that are too small to be of much use, not helping steerage in storm conditions. Build and fabric choice is vital for these safety sails. We select storm fabrics in dayglo orange or white and build with no compromise as we appreciate that you will be relying on these sails to get you home. Call for advice on size and handling. 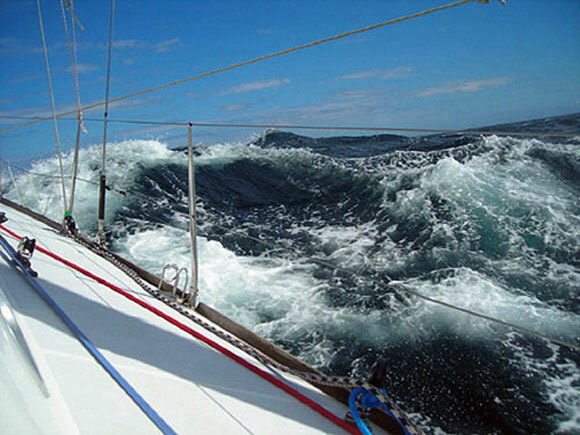 Having the storm sail bagged up for years and no quick method for deploying it will cause stress to you and your crew.